The new-school world of movie streaming and the old-school world of movies being screened in ornate theaters while the audience gasps in shock as the train comes roaring right at them are now at war, and at the center of that war is a feud between Netflix and the Cannes Film Festival. It all kicked off at the end of March, when Cannes announced that Netflix movies would be banned from competing at the festival because of the streamers’ refusal to embrace old-fashioned theatrical rollouts. The first seeds of this conflict were sown last April, though, when the Federation Of French Cinemas questioned whether or not Netflix movies are real movies if they don’t screen in theaters. On Wednesday, Netflix announced that it was pulling out of Cannes completely—not just the competitions—to protest the decision. Now, according to Vanity Fair, Beatrice Welles—the daughter of Orson Welles—has jumped into this feud in hopes of calming the tensions and helping everyone get along. 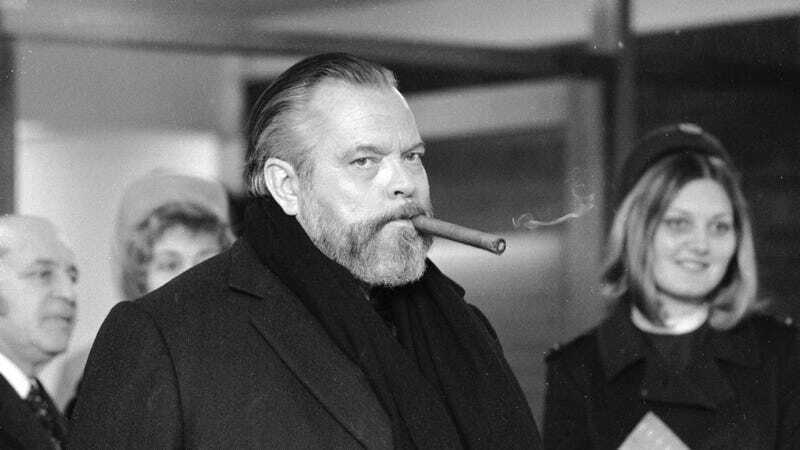 The former child actress now manages her father’s estate, and last year she helped give Netflix the approval it needed to buy up the rights to The Other Side Of The Wind, an unfinished film that Welles left behind after his death and was originally supposed to premiere this year at Cannes. With Netflix pulling out, the movie will no longer be getting its big festival premiere. Sarandos supposedly responded to her email, but her plea did not change his mind. The Other Side Of The Wind will premiere on Netflix later this year. Orson Welles played a robot that eats planets in Transformers: The Movie!